June 2015 marked the global deadline for digital migration, where television signals migrated from analogue to digital. The deadline was set by ITU Member States at the Regional Radio communication Conference held in 2006. The digital migration process in Kenya was not particularly easy owing to legal battles seeking to extend the deadline for digital migration. At one point, a dispute between the regulator the Communications Authority of Kenya and three top media houses culminated in a blackout by the media houses. The three media houses Nation Media Group, Royal Media Services and Standard Group applied and were awarded a license to carry their own digital signal. They then formed a consortium called Africa Digital Network seeking to launch their set top boxes. During Nation Media Group’s annual General meeting, which took place on June 5th 2015, the management announced start of sale of digital set-top boxes in three weeks’ time (never happened). The ADN project seemed to be spearheaded by Nation Media Group with NMG chairman Wilfred Kiboro noting that out of about 4.5 million TV sets in Kenya, there are an estimated 2.2 to 2.3 million set-top boxes in the country. Meaning an estimated 2 Million households still need set top boxes. This is the number the media house sought to sell to.Not much has been heard about this project since.There was speculation of KTN joining hands with Radio Africa group in launching their own decoder. Techweez can now exclusively report that KTN has bought a 50% in Radio Africa’s Bamba TV according to Shem Oluchiri, Head of Content Communications/Web at Radio Africa Group. Bamba TV is a free-to-air set top box offered by Radio Africa Group. 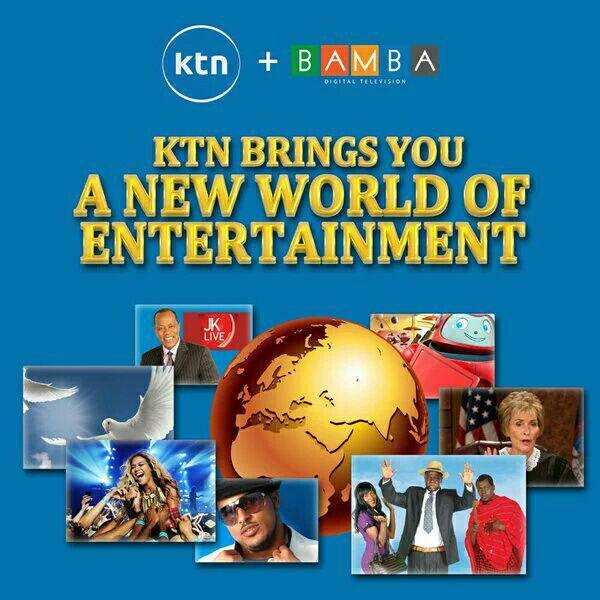 The deal will bring new content for Bamba audience , which KTN has been keen on acquiring. KTN recently announced it will broadcast live EPL matches which will also appear on Bamba TV. Bamba TV has 7 movie channels, 3 of which are African channels and other international ones, there are three cartoon channels, 4 lifestyle channels including fashion TV and cars TV. There is also a 24 hour Telenovela Channel bringing total to 28 channels. What does this mean? More ad revenue for Standard Group in its television segment. KTN will now sell more ads as they will have a wider audience across board. It will be possible to front local floating ads when one is watching content on Bamba TV. According to a Poll by GeoPoll in December to assess the penetration of set top boxes in Kenya, 71% of Kenyans who own TV sets owned a set top box. This is an increase from 63% who owned a set top box in July 2015. Nairobi leads with 79% of those with television sets owning a set top box. Most of those who own set top boxes pay the monthly access fee at 70% with only 30% of owners using a preferring the free-to-air channels. This new partnership will offer Bamba TV the much needed traction to compete with GOtv with 41% of the market followed by StarTimes with 24% of the market share.